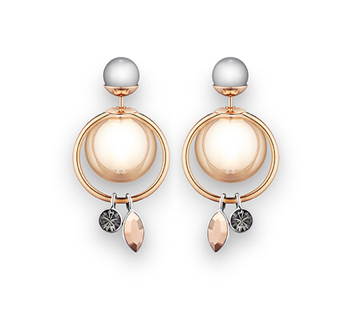 Rapidly ascending the ranks of the must-have, these tribal-inspired, asymmetric Dior earrings are worn alone or as a duo, creating whole new customizable combinations. These unique earrings were seen on almost every fashion girl across the globe. You can choose the one which suits your style, whethe with a mineral aspect, with gilt or silvered cannage motifs, matte in fun colors, set with stones or pearlized, discover. 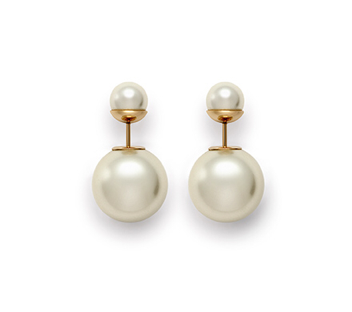 The small pearl rests on the ear while the largest peeps out subtly from behind the lobe.